SKATE! 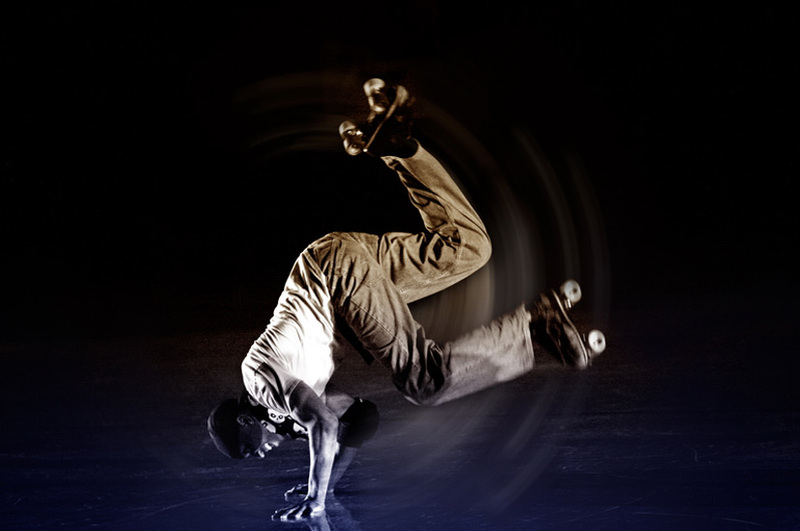 — Forklift’s homage to all there is to love about life at the rink – premiered in July ’08 and came back for an encore presentation in March ’09. Featuring over 30 community roller skaters and a score of favorite roller rink tunes, SKATE! was an hour-long ride that took place literally on the rink at Austin’s Playland Skate Center. Aptly described by The Austin Chronicle as “a big wet kiss to the communal experience of roller-skating”, SKATE! showcased all of the elements one might observe on a night at the rink- from ladies’ choice to all-skate, men’s speed skate to couple’s backwards skate. The cast included teens through adults (oldest skater was 72!) and included local jam skaters, competitive figure skaters, and even a few rollergirls. The cast members for SKATE! were all regular Tuesday night skaters, as Artistic Director Allison Orr and her collaborators Ann Berman and Theresa Hardy built the piece by making regular visits to Playland on adult skate night. Cast members were chosen for their unique skating style, and the performers were truly being themselves as they showed off their amazing rollerskating skills. In addition, the show included a number of choreographed sections which featured Forklift company dancers (on skates- of course!). The musical score, crafted by sound designer Bob Boster, showcased favorite roller skating songs- from 50s Organ Music to Disco to 80s pop. Interviews of the performing skaters were also woven into the soundtrack, which gave the audience a more more personal look into the performers’ love of skating. The hour-long show concluded with a grand all-skate, where audience members were invited to join the performers out on the rink. SKATE! won the 2008 Austin Critics Table award for OUTSTANDING CHOREOGRAPHY! The July premiere of SKATE! 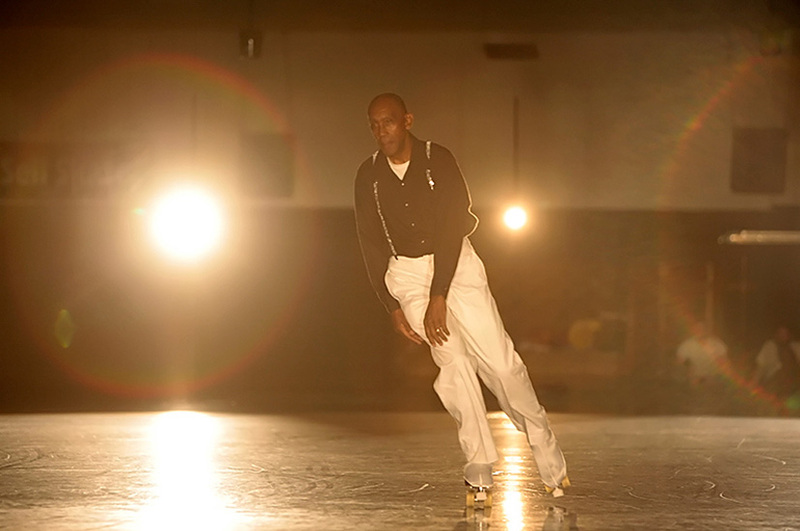 received rave reviews from audience members, critics, and skaters alike. The Austin Chronicle called SKATE! “a party on wheels” while the Austinist wrote, “The idea of bringing her dancers together with Austin’s best, most dedicated roller skaters is nothing short of brilliant. The March encore performances sold-out as well, and SKATE! rolled out of the rink leaving audiences and the participating skaters joyfully celebrating this uniquely American past-time. SKATE! was supported by the City of Austin Cultural Arts Program, the Texas Commission on the Arts and local sponsors including: Anna and Blake Magee; Alexander Dubose and Townsend, LLP; Sherry Smith Marketing Partner; The Counter Cafe; Magnolia Cafe; Trudys/South Congress Cafe; and Purple Martin Propagators.